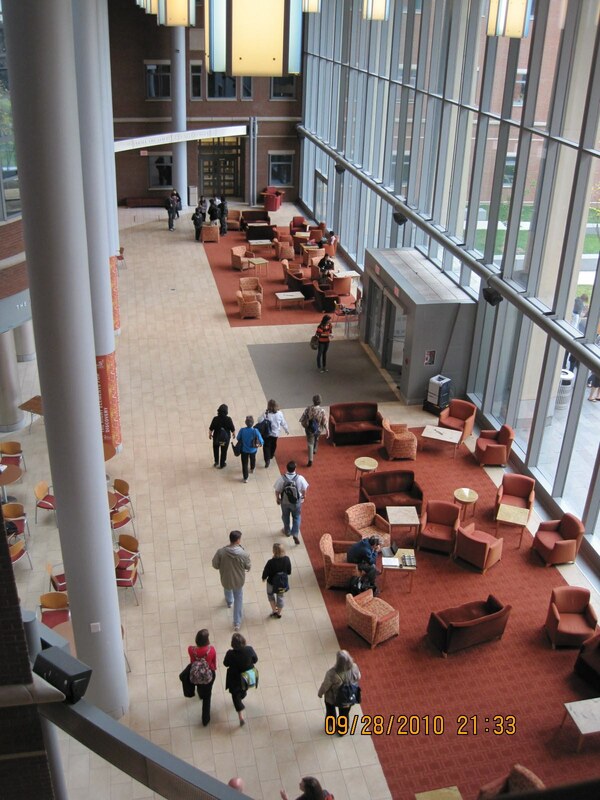 Syracuse feels like a large, state school, with state-of-the art amenities at every turn. The indoor sports stadium is outstanding and among the four nicest stadiums in the country. Sports are a huge part of the social life on campus and students actively participate as either a spectator or participant in intramural or club sports. All students are guaranteed a seat at the stadium. Our names flashed across the electronic scoreboard as we entered the stadium. While Syracuse feels like a large state school, there are only 11,000 undergraduates dispersed among the nine colleges. As a result, the classes are still relatively small and students have good interaction with professors. Some of the most notable and more select majors are visual and performing arts (requires a portfolio/audition), Communications, Architecture (admissions is based 50% on the transcript and 50% on the portfolio), Sports Management (only accept 50 students per class), and business. Given the wide range of academic options, Syracuse boasts a diverse student body as indicated by the wide range of shoes I saw on campus: Coach, Converse, funky boots, sneakers, low boots, loafers, and topsiders. It was the most diverse student body that we saw on all the tours representing all ethnicities, races, and types. 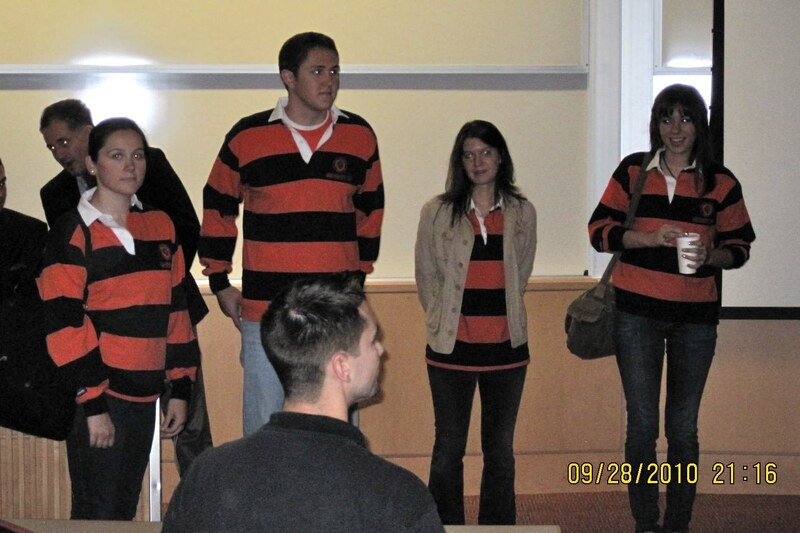 A large majority of students sported Syracuse apparel, e.g. sweats, hoodies, sweatshirts, shorts, and t-shirts, which speaks to the very intense school spirit. There were also artsy students with colorful scarves. While the vast majority of students attend sporting events, there is also a wide range of cultural activities as well. Students in the highly select theater arts or musical theater program perform numerous shows on campus and also have the opportunity to participate in a professional, equity theater near campus. Architect and engineering students work collaboratively in the community to design sustainable, affordable housing. Syracuse’s motto “Scholarship in Action” informs the heavy emphasis on “doing”, whether it be in the community or abroad, there are many ways for students to get involved. For the health professionals, there are local hospitals, clinics, and research opportunities, for the visual arts students, they are required to study abroad in Florence, for the engineering students, they participate in numerous internships. Syracuse wants to prepare students to be successful in their given profession. To that end, the school has an active, engaged alumni association to help graduates along the way. The average GPA for the whole college is a 3.6 out of four with a 1200 SAT, however that varies depending on the individual program. It can be lower in the programs that also evaluate talent or portfolios for admissions. The town of Syracuse is okay. There are local bars that students frequent and hang out in. On campus housing is very safe, however my shuttle driver said that it is not uncommon for students living in apartments to be burglarized by locals during school breaks. Summary Syracuse is a great environment for students who like to be involved and would enjoy a strong school spirit and sports teams.